Five credit programs that unite members around a common bond. Affinity programs appeal to a target audience, but even focused audiences have differing financial preferences. The success of any affinity program is determined as much by what the product is as who the audience is. Pentagon Federal Credit Union ($14.9B, Alexandria, VA) uses affinity programs to appeal to its large military membership. It offers several credit cards that are affiliated with the United States Military Academies, the U.S. Coast Guard, and the United States Army Warrant Officers Association, just to name a few. But Pentagon FCU doesn’t just offer cards with flash and style. Successful affinity programs need to support and give back to the affiliations with which they are co-branded. 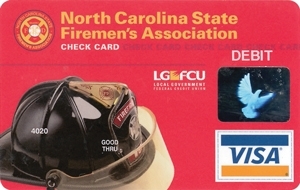 For example, the credit union contributes 0.25% of purchases made through its Coast Guard card product to the Coast Guard Auxiliary Association. Justice Federal Credit Union ($512.2M, Chantilly, VA) wanted to grow its membership and chose affinity programs as a nontraditional way to do that. Because it wanted to keep its field of membership closely tied with the Department of Justice, the credit union looked to related fields when identifying new membership possibilities. It then designed products to appeal to those specific groups. The credit union quickly identified the need for remote services and launched a credit card program that required no branch support. Members could apply for the card through a simple online process, and the credit union offered pre-approvals for specific groups to further ease the application process. Everence Federal Credit Union ($125.3M, Lancaster, PA) offers an affinity program for its faithful members who want to support charitable causes when they use their credit card. The Rebate for Missions programs donates 10% of its merchant interchange income to the church, missions, and relief organizations. The credit union stresses the personal advantages of the card – interest rates as low as 8.9% with no annual fee – as well as the spiritual advantage. Since the credit union launched the card in 1995, it has donated more than $215,000 to Mennonite organizations. Christian Community Credit Union ($519.3M, San Dimas, CA) gives it members a chance to support missions and ministries around the world. Members who participate in the credit union’s “Cards That Give to Missions” credit card program pay no annual fee and have a 0% APR introductory rate for purchases. Every time the member uses one of the cards, the credit union makes a donation. To date, the credit union has donated more than $3 million to mission projects, and has a donation goal of $200,000 for 2011. The credit union also used funds from its affinity program to donate $232,500 to Launch a Village Project, which provided water and life skills to remote villages in Thailand.